Christmas is just two weeks away, can you believe it?! 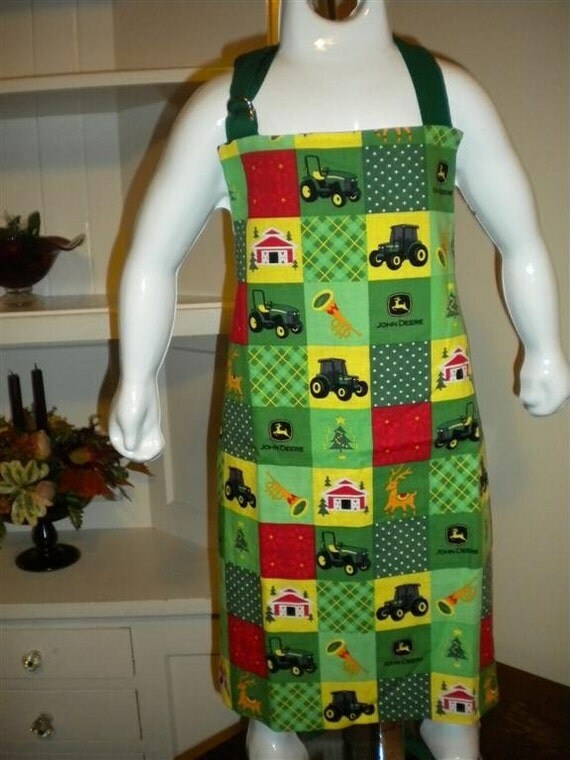 Surfing around Etsy I've found some really cute items that would make GREAT stocking stuffers for the kids in your life! But you'd better hurry and get them ordered, time's a-wastin! Check out these great items, and make sure to check out the creators' other items as well for more stocking stuffers or gifts, for any time of the year! 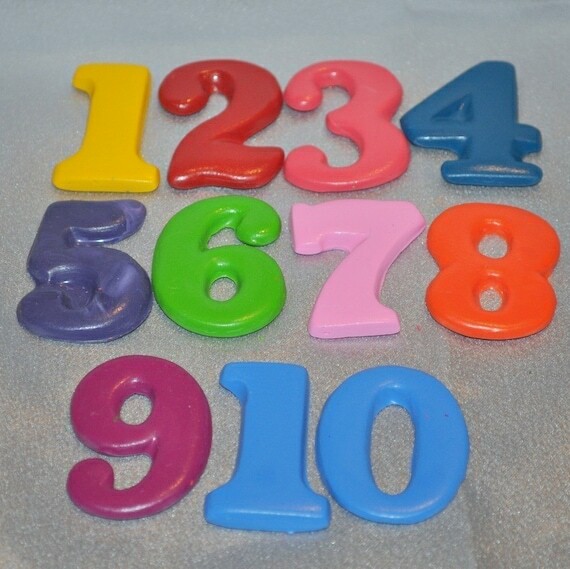 Number Crayons - Not only can you color with these crayons, but you can work on number recognition as well! 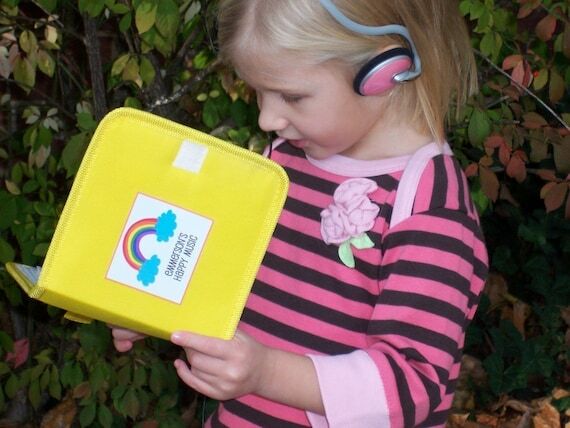 Now your child can have their very own, personalized, cd case for all their music! 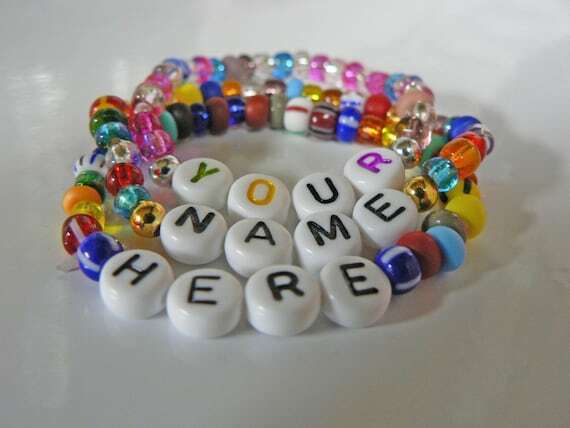 Personalized bracelets can spell out your child's name, nickname, favorite sport or even medical alerts. Keep your little chef clean while they help out in the kitchen! 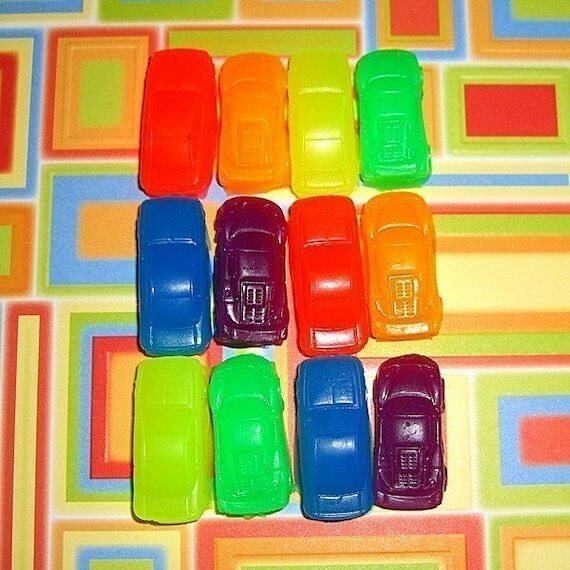 These cute little vegan car soap bars will have your kiddo racing to wash up! 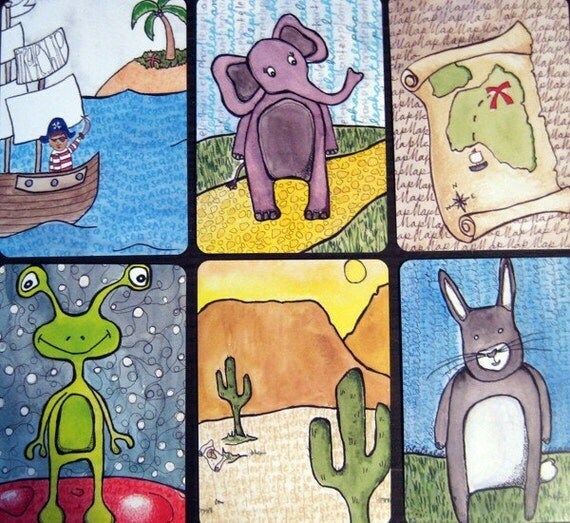 Play several games with these original artwork playing cards. 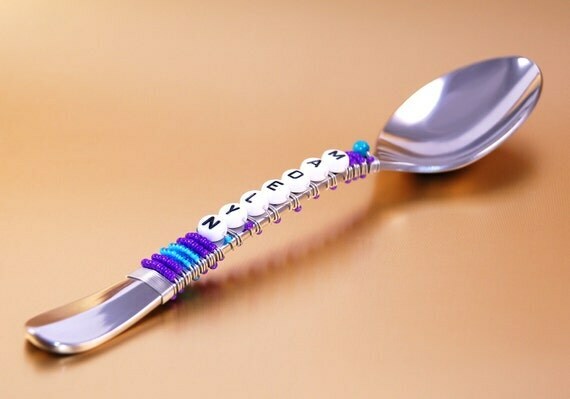 What could be more unique than a personalized, hand-beaded spoon of your very own?! Adorable little mirrors any girl would love! 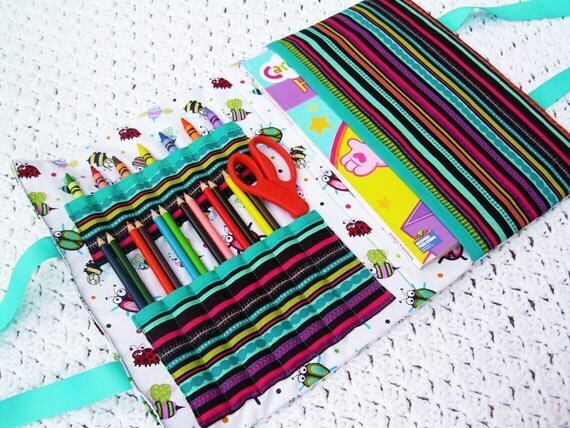 Your child can bring their art anywhere with this cool art bag! 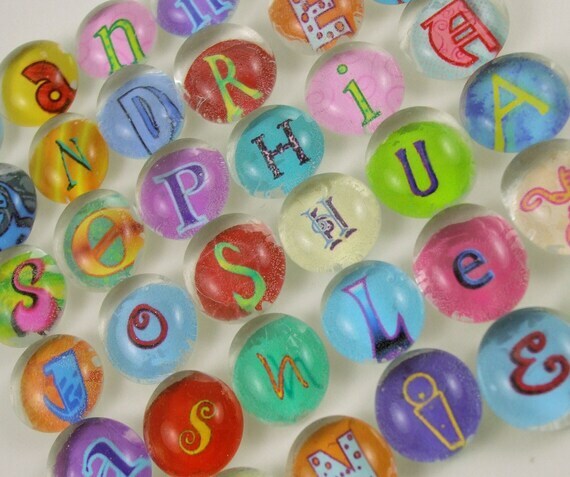 Spell out your child's name or any word with alphabet bubble magnets.